When trees are felled or tree work is carried out there is often a large amount of wood which can be removed or left for clients to utilise as firewood. Chipped brash which is generated when branches are put through the chipper can be used on gardens and paths or it can also be removed. 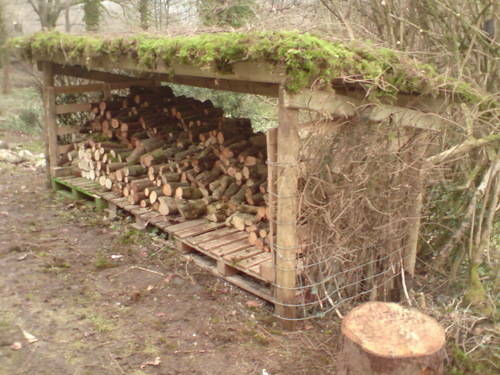 We have built simple low cost, rustic wood stores for clients in which the wood can season whilst protected from the elements. Another option we offer is to build a "Holz Hausen" or "Hot House" on the site where the tree has been felled. 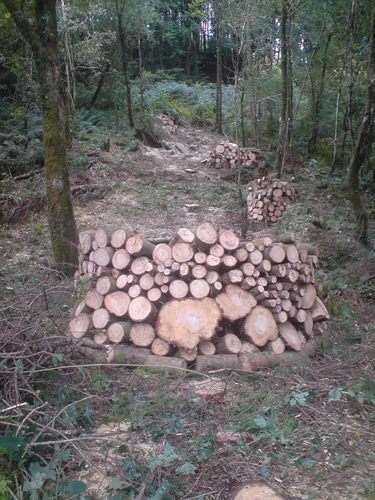 Wood is cut and stacked to provide a safe habit for wildlife and natural slow seasoning for the firewood which can be used when and if required.